Hydrogen & Methane Testing (HMT) is used for the diagnosis of carbohydrate (sugar) intolerances. At The Breath Test Lab, we use Hydrogen & Methane Breath Tests to diagnose lactose, fructose, sorbitol, xylitol and sucrose malabsorption and intolerances. Contrary to popular belief, there are many different types of sugar in a healthy diet- both naturally occurring and artificial. These sugars include lactose, fructose, sorbitol, xylitol and sucrose. However not everyone is able to fully digest and absorb these sugars, leaving them available to be fermented by bacteria within the gut. When this occurs in the absence of symptoms it is known as carbohydrate malabsorption. 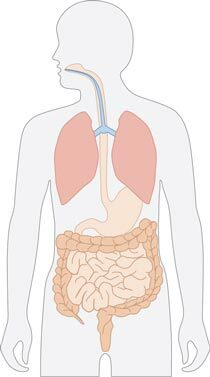 In some people, the fermentation and production of gas (hydrogen and/or methane) causes the symptoms of Irritable Bowel Syndrome, such as nausea, bloating, wind, abdominal pain and diarrhoea. When malabsorption is accompanied by such symptoms, it becomes known as an intolerance. Unlike other breath test companies, The Breath Test Lab doesn’t just test for hydrogen, we also test for methane at no extra cost, which makes our tests much more accurate and reliable. Specific intolerances to carbohydrates such as fructose may be seen in up to 45% of people in Australia, while 10 – 15% have lactose intolerance. Our Asian population is especially prone to lactose intolerance (seen in up to 85%). All patients undertaking breath testing would benefit from seeing an Accredited Practising Dietician to receive instructions on how to best manage their symptoms through diet whilst maintaining nutritional adequacy and a good quality of life. Who should consider testing for carbohydrate malabsorption/intolerance? Hydrogen & Methane Testing should be considered if you have IBS or experience symptoms of IBS. IBS symptoms can include abdominal bloating, pain, excessive flatulence, diarrhoea, constipation and in some cases, lethargy, reflux and belching. These unpleasant symptoms are often caused by the malabsorption of carbohydrates (sugars) such as fructose, lactose, sorbitol and xylitol, which are found in our everyday foods.